I wonder what results will be if these high cd flashlights measured at 15-20m. Just my mind working. if you read a super range thrower at 5m a very nice number but at 15-20m read much lower numbers you read wrong. Because the beam focused to 5m. And at bigger distances it will widening out and loose intensity. I always measure throwers at 10-15-20-25m and try to focus the light to get the highest intensity at 20-25m readings. I’ll try to do that when I have the time. I managed to get 1600m. 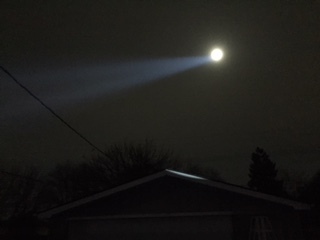 I compared the beam to an Olight M3X and it blew that out the water. 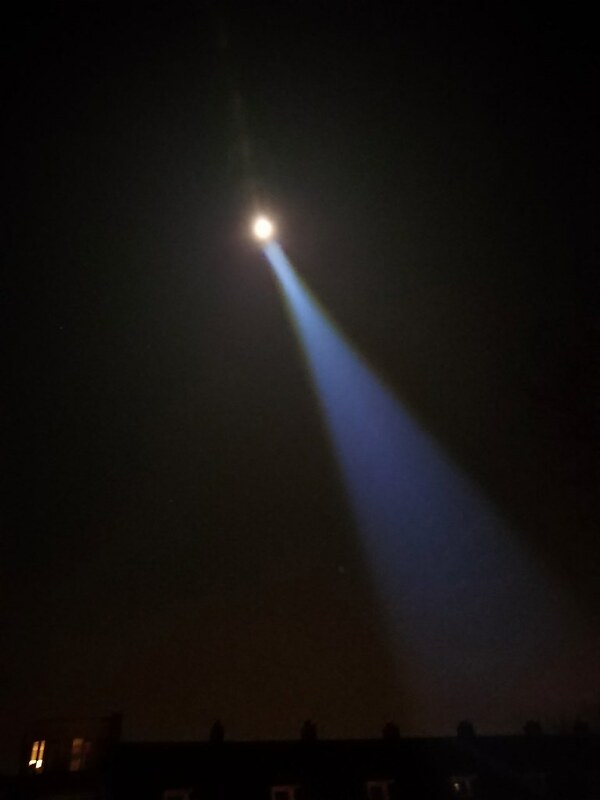 Also compared it to a Nitecore TM38 and beam was still tighter though. Put one in a VG-10-ish host using a 3A buck driver. 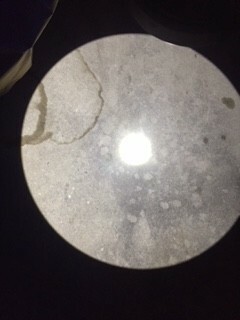 The reflector is about 23mm diameter. Next, I want to bump it up to ~5A or so. I have two more of these emitters. I think one is going in a C8. The other will go into either my L2, or into an Eagle Eye X6. You should try it in the M3X as well, it’s stunning ! I would if have it. The M3X and TM38 was a friend’s one. I plan to put one in an M2X in a few days. I put one in a Supfire F5, that was housing a dedomed XP-G S4 2B before. It did exactly 100kcd with the XP-G2. 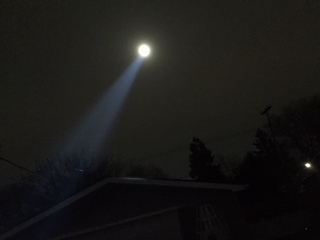 It is not a well-known light, a well-built 18650 zoomie with effectively 26mm plastic lens, here’s a pic. Everything was done thermally as good as possible in this host. I first removed both spring bypasses and then added them again one by one because I hoped to get into the 130’s kcd. I ended with 120 kcd at start, 110 kcd at 30 seconds (with 500lm flood, 165lm spot). Still an improvement over the dedomed S4 2B, and certainly a better tint and beam shape, and contrary to the S4 2B the throw will hardly go down when the battery drains. Btw, the Supfire F5 was always overpriced at 30 dollars but now I found it for 16.63 dollar shipped. Could you help me out in this thread Djozz? 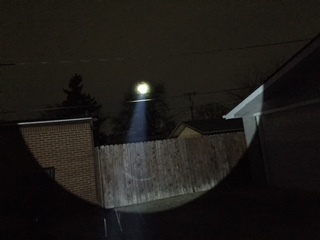 I mean Ultratac S20 thread http://budgetlightforum.com/comment/1413754#comment-1413754 I don’t know if you bought that light? Tail cap readings on your freshly modded supfire? Does it has anodized threads at the tailcap? I think on one pic is seen that it does not has anodized tailcap tube and switch threads. 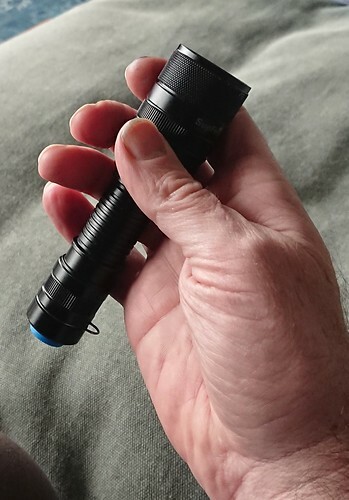 When flashlight has anodized threads we can turn it on/off with twist to turn move or just unscrew tailcap slightly to prevent accidentally turning on. I never bought the S20 so I can not give an impression. This F5 has bare tail threads, so no lock-out there. But with tail clickies I do not usually have problems switching it on in my pocket. i would like to buy a cometa and put this led in there. which driver would be best? and do i need to think about something else? just the host driver and led right? If you’re gabbing the led from them, why not get the L4p driver? You can pick your current. I made a Cometa (from the recent trash sale on BG) with a KW CSLNM1-TG led (on stock 20mm Manker board soldered to pill) and 12-chip biscotti driver, it is doing 4.14A and 299 kcd at 30 seconds (and pretty steady at that). I hope that the wavien collar that I will try to add next works well on this led. Do warmer tints exist for this emitter? Maybe something in t he 5000k range? 300kcd sweet! Did it take effort to focus the emitter? 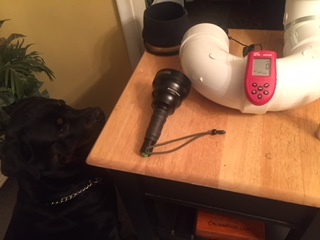 Can’t wait to see your pics on setting up the wavien collar. I also have one waiting to be used so this will be very helpful! I wonder, how well would smaller reflector lights throw with this emitter! 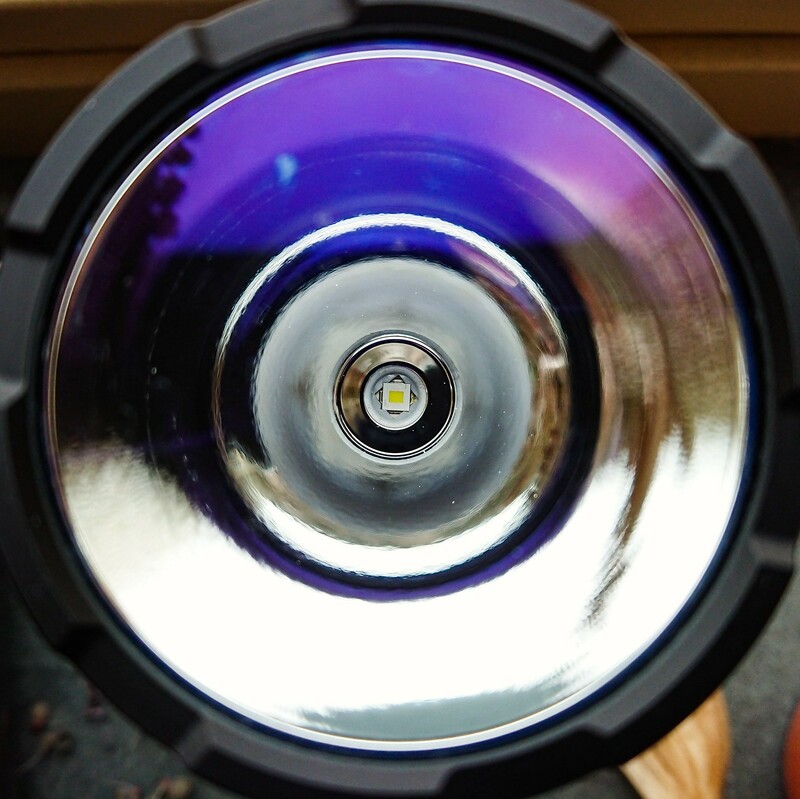 For example, S2+ with SMO reflector and this led, and lets say 5A driver, what throw would we get! 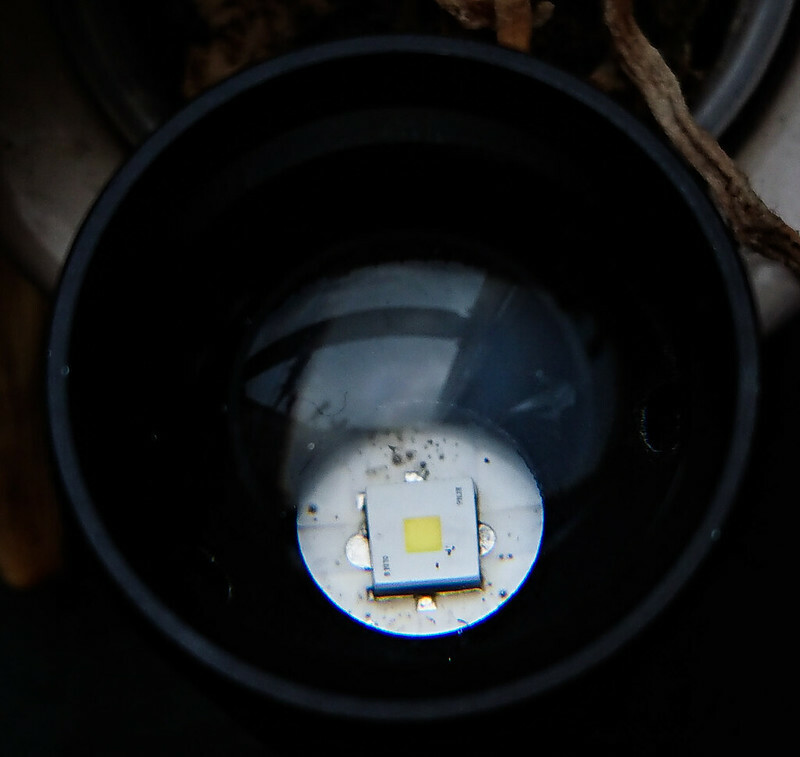 The led is on the stock board and is about as thick as the stock XP-L Hi, so the focus is fine. Moon meets Flat White Tree meets Flat White Pretty intense focused spot Kodi wants the Turbo Flat White…he is eye balling it Intensely…. Not finished yet. So just reporting some info for those wanting to swap this emitter into a MF04. Used a thin solder layer as recommended and lapped the stock MCPCB and the emitter shelf. Used an old MT07 buck driver set to 4 amps. Using the stock MF04 reflector isolation ring the beam is not quite focused. 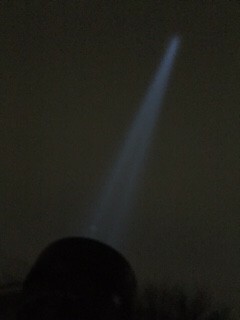 At the moment, the emitter is not quite centered (but appears close) and it is visible in the beam. 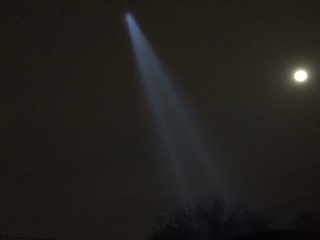 The hot spot is not sharply defined. I only measured 1.3kcd at 10.85 meters. I can't find my favorite light meter to verify this reading. The light is way too big for my integrating tube. So no lumen measurements to report. No indications of thermal sage noted. Not sure what direction I need to move the emitter yet. I think it's too high in to the reflector. The heat sinking with the large MCPCB and host makes me think I can probably up the current to 4.75-5 amps. Any suggestions on that from you folks using this emitter in bigger lights yet? I'll report on progress when I get another chance to work on the light. If anyone has converted and MF04, please report what worked or didn't work for you. EDIT: Stock isolation ring is focused. Centering the emitter was all that was needed. Measure it from at least 15-20m. 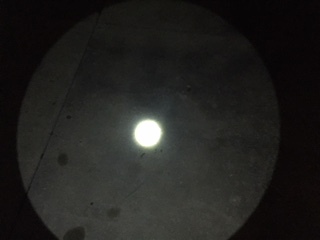 the reflector/led size ratio is huge so need big distance for measurement. 1mm2 one is “absolute” throw king if you compare cd/mm2, so if you want max. throw ->1mm2 white flat. I checked the PM1 (so with the larger rectangular die) in my Lumintop mini-GT. Previously it had a dedomed XP-G2 S4 2B that throwed 235 kcd. With the PM1 (well focussed, perfect beam) I had to remove all bypasses and use a not fully charged GA cell to avoid the purple tint, and I got 238 kcd max, even still 235 kcd with the GA cell at 3.7 V.
So no throw gains over the dedomed XP-G2 S4 2B (well, it does maintain throw much better) but the tint is better without the green hue. But still the PM1 will have to go because the mini-GT driver does not like the extreme low voltage PM1, during the complete low side of the ramp the led does not light up at all, not just on the 7135 but also into the FET region of the ramp (as reported by the blinking of the switch light). So well into the FET region I first get light but very low at first, I measured 12 lumen, so that is halfway the ramp, from there going up. (Edit: after later swapping to dedomed XP-G2 again, the problem of the led not lighting up at the low side of the ramp persisted, so I have a driver problem ). I did not measure amps btw, it was easy to spot by the led tint when the current got too high. I will put a dedomed XP-G2 S3 3D led in the mini-GT next, both good tint and throw. Even without bypasses and not fully charged GA you could still be over point of max. 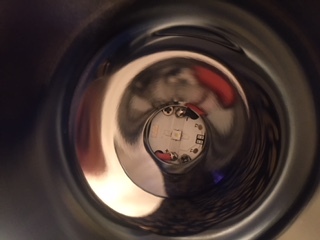 brightness with this LED (Vf at 8.5A <3.3V), so conclusion that there are "no throw gains over the dedomed XP-G2 S4 2B" is incomplete at best. 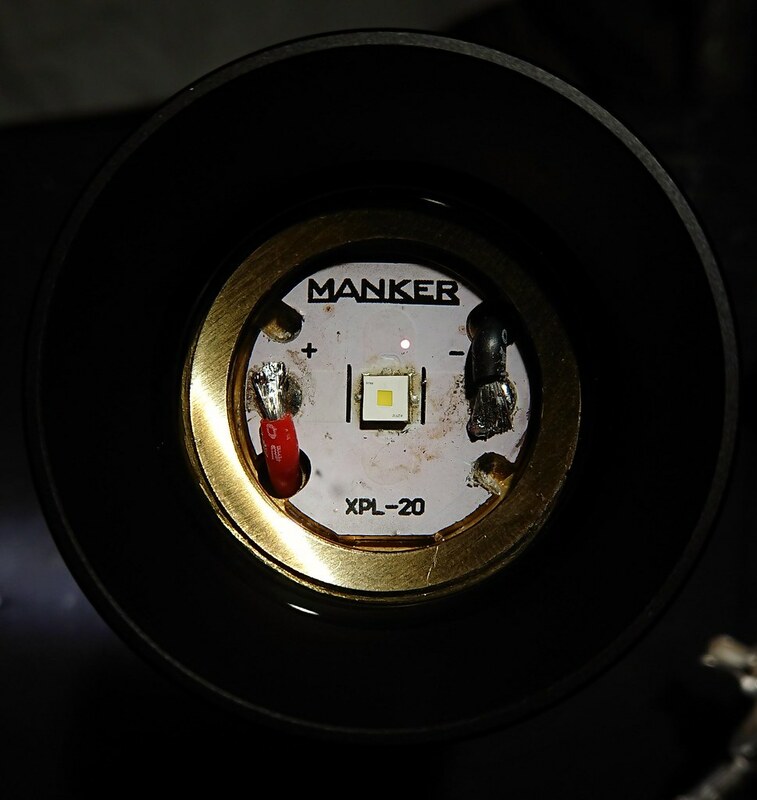 When tested with bench supply, this LED works like any other, light up at 1mA and much lower that that. I have no problem with GT mini driver. 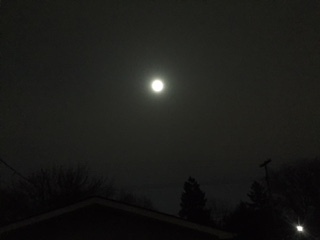 Have moon mode normally. That is a weird result that I get then, I assumed that the GT driver responded badly to the low voltage of the PM1 but if other people find normal driver behaviour there must be something specific different in my case, I would not know what. I’m usually not that much into cool tints, but at max the tint is a really good cool white btw, 69CRI, 6800K and slightly under the BBL. In that case LED is underdriven (maybe 4-5Amps), so kcd numbers similar to XPG2 S4 make sense, but in that case it's strange to hear from you ""no throw gains over the dedomed XP-G2 S4 2B", when you know you didn't drive this LEDs close to its maximum (unlike XPG2 S4). A duv of 0.012 is not too bad ;).